Fishermen or underwater explorers that would like to stay dry but still be able to see under the waves, may be interested in a new underwater robot drone which has been created by PowerVision in the form of the PowerRay. 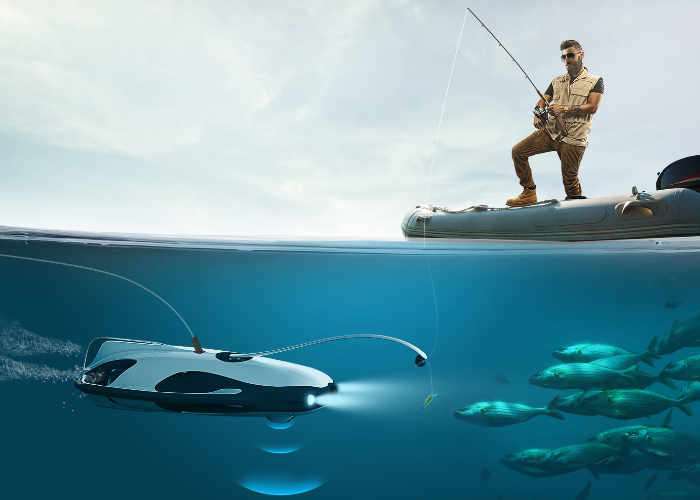 PowerRay has been specifically designed to provide both fish finding features combined with an on-board camera that can be viewed using the mobile companion application or even virtual reality headsets to provide real-time visualisation to help with researching or catching fish. The new PowerRay underwater drone will be showcased at this year’s CES 2017 Technology Event taking place later this week in Las Vegas, the official press release explained a little more about the underwater drones features and functionality. Delivering the most thrilling and effortless fish finding experience for consumers, PowerRay features an optional add-on component, PowerRay Fishfinder, which leverages sonar system to detect fish with precision and sends images of fish and underwater landscape, temperature data, as well as alerts to users through internal Wi-Fi to enable fishermen to make spontaneous decisions. The PowerRay robot can dive as deep as 30 meters or 98 feet underwater. The sonar system can detect fish up to 40 meters or 131 feet below the robot, making the total diving depth up to 70 meters or 230 feet with precision up to 10 centimeters or 3.9 inches. The internal Wi-Fi system allows transmission of images and data over distance up to 80 meters or 262 feet. The PowerRay Fishfinder is easy to install to the robot and can be detached as a stand-alone fish-finding device. The PowerRay Fishfinder also includes an internal fish luring light with a hue of blue. Using the PowerRay Mobile App, users can view real-time transmitted photo or video captured by PowerRay’s integrated 4K UHD camera on any iOS or Android mobile devices, in addition to receiving fish-identifying images, underwater data, and alerts. 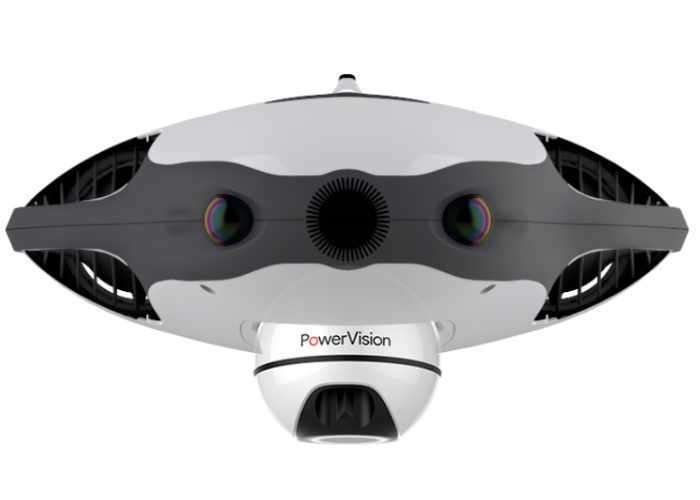 Users can also view the real-time position of the PowerRay robot, select travel mode, speed, and light setting, and operate the integrated 4K UHD camera functions for underwater photography and videography, all through the PowerRay Mobile App.